Do you live in the City of Canada Bay Council? Thanks to the wonderful folks at City of Canada Bay Council we’re in a position to give 12 FREE Street Libraries to budding librarians who live in that local government area. This is a $300 street library for just $0…..all you have to do is install it – and love it! The program is open to anyone in the area – we’re looking for community minded folks who will become excellent librarians. The library must be installed on property you control, which may be private, or school grounds. 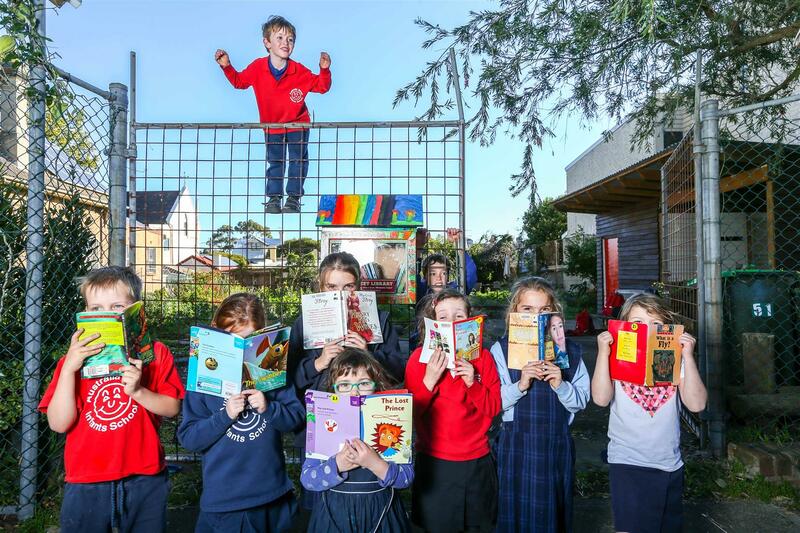 If you’re a school or daycare, you can see a great Street Library in operation here in Newtown outside Australia Street School. The program will remain open until all of the libraries are gone – be quick, as the last time we ran this program it lasted just 2 weeks. Volunteers in Canada Bay based NGOs, including schools and daycare centres. To apply, fill out the form below – be sure to include your Canada Bay Address. Offer closes August 31st 2018. Due to popular demand, this program is now closed. Thanks to everyone who applied, we gave away 18 Street Libraries to the wonderful residents of City of Canada Bay.